Update: The Daily Astorian reports that effective Sep 13, 2017, Mary Todd agreed to sell the Workers Bar to Diana Kirk, Astorian resident and author of "Licking Flames: Tales of Half-Assed Hussy." It sounds like it is in good hands. 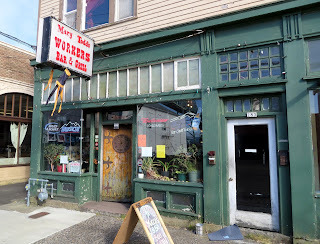 The Workers Bar, says Mary Todd, has been around as "The Workers" something or other since 1923, i.e. ten years before prohibition ended. 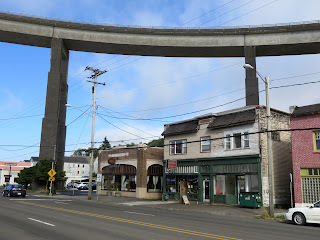 Since 1966 its long-time location in the historic Uniontown district has been in the shadows of the Astoria-Megler Bridge, the longest truss bridge in North America, spanning the Columbia River from Oregon to Washington state. The Workers Bar features the all elements of true dive bar -- very evident age, a collection of bric-a-brac obviously acculated over many years and portending many stories, cheap and strong drinks, and old geezers. 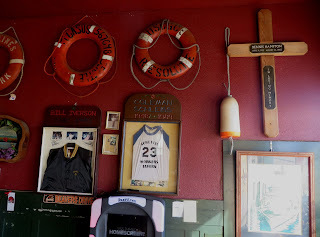 The maritime and working class themes are for real, which is not to say that the joint doesn't also attract a few artists and hipsters. 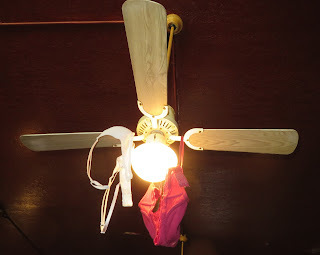 In addition to it's ramshackle, working class theme, the bar is locally known for its "Yuccas" (a locally popular cocktail of vodka, lemon juice, and simple syrup) and for "meat bingo," wherein the prizes are, well, meat. Mary Todd owned the place from 1990 to 1994, then purchased it again in 1997. She lives in one of five apartments in the two-story building, with an empty retail space adjacent to the bar. 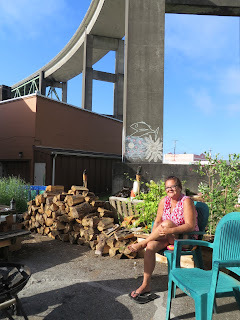 Mary's been on the wagon for the last several years, but shares some of the history of the place as she smokes near the fire pit in the beer garden out back, as cars roar across the bridge and trucks rumble down Marine Drive. 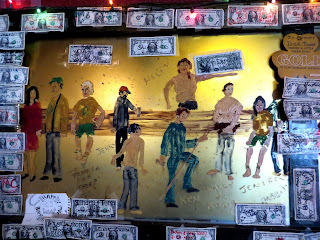 Just the personality of Mary herself might serve to make this one of the better dives in the area, but the personality of the place, with its fading exterior, the impasto painting of bar regulars, the tributes to regulars passed away, the bras hanging from the ceiling fans, and the elements mentioned above, emphatically clinches the case. 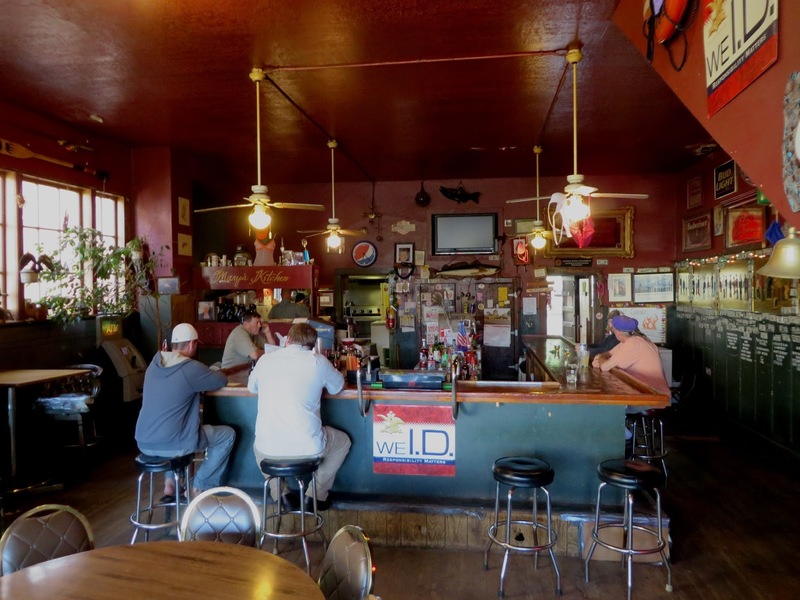 Postscript: If you are visiting the Workers Bar, check out the Triangle Tavern across the street, which has also been around in some form since the early 1920s.